Dunnage, packaging materials used to fill spaces to prevent items from shifting during shipment/transport, is an important product to our customers as they ship their products from a manufacturing point to an end destination. We would like to work with you on our various transit protection products, which include expert load securement products, protective dunnage products, corrugated void fillers, honeycomb panels, air bags and other freight-bracing and damage prevention solutions. 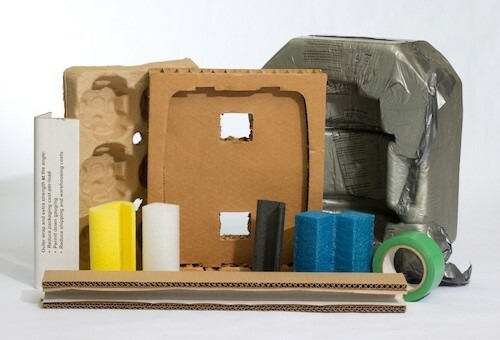 World Pac Paper provides a vast array of customer and stock dunnage products to meet every shipping need, for optimal protection. 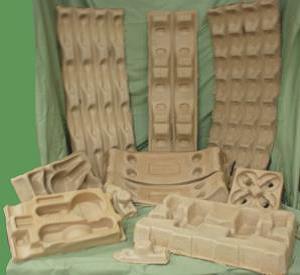 Dunnage may come in the form of engineered molded pulp or plastic packaging for the automotive, electronics or IT industry, consumer goods and industrial/hardware & medical industries, as well as for the office and household to corrugated and paperboard variations (such as honeycomb and hexacomb fillers). 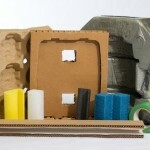 Custom dunnage products to your specifications or classic air bags or bubble wrap are also available. Our products are environmentally sound, sustainable and cost-reducing for our customers. Honeycomb void fillers, a part of the dunnage category or packaging solutions, made of corrugated paperboard materials is an ideal void filler for both center and sidewall void. 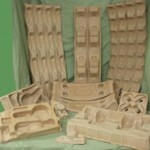 We offer a wide range of designs and sizes for freight bracing tailored to your specific needs. They are fast and easy to install for reduced labor and they save space by shipping and storing flat. The honeycomb design offers high impact absorption to ensure damage protection.